Oh, Xenoblade Chronicles 2, what are you doing to us today? If Zelda fans didn’t get enough news regarding new content for The Legend of Zelda: Breath of the Wild, today (new side-quest with new costume available as a prize being distributed on November 9th) it’s time for some less official news. 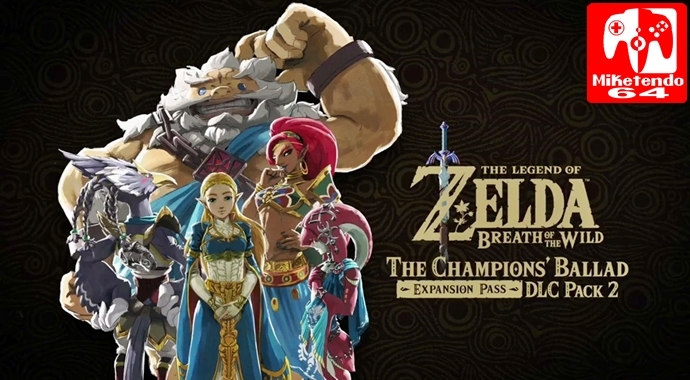 According to an updated listing of Breath of the Wild in the European Switch eShop, the Champions’ Ballad DLC Pack that adds a new dungeon, original story and new challenges, is due out in December. By no means is this official confirmation, as for now it is circumstantial, but like Nintendo has said time and time again, the second DLC pack will be out this year and with just November and December left, next month is as good a time as any to bring it out. But until Nintendo officially come out and give us a date, which they will do soon enough, for now nothing is set in stone.